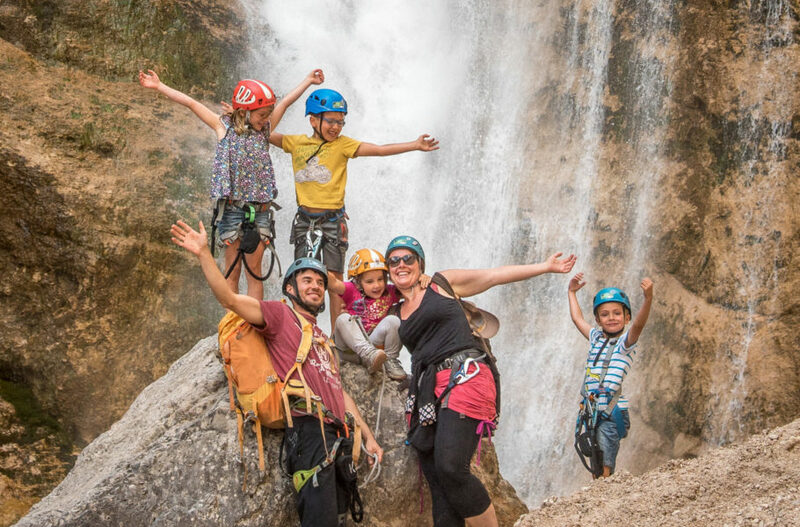 Together we will surely will find the tour that meets your wishes and gives you an unforgettable time on the mountain. 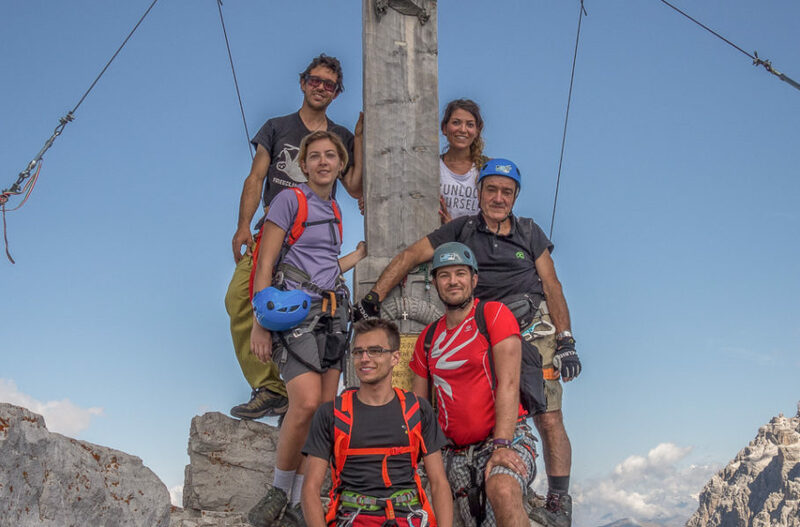 On Top of Cima Grande - a dream comes true! Solitary, very beautiful classic in the shadow of it's big sister. 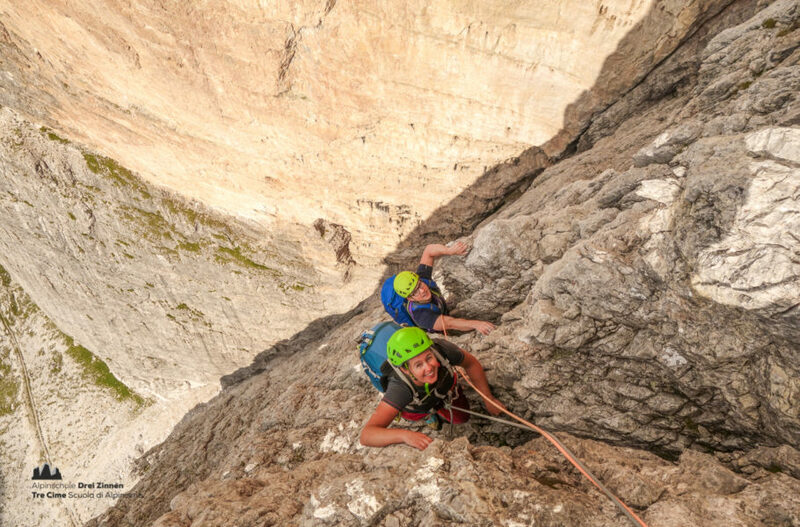 The most difficult normal route of the Tre Cime offers wonderful climbing passages. 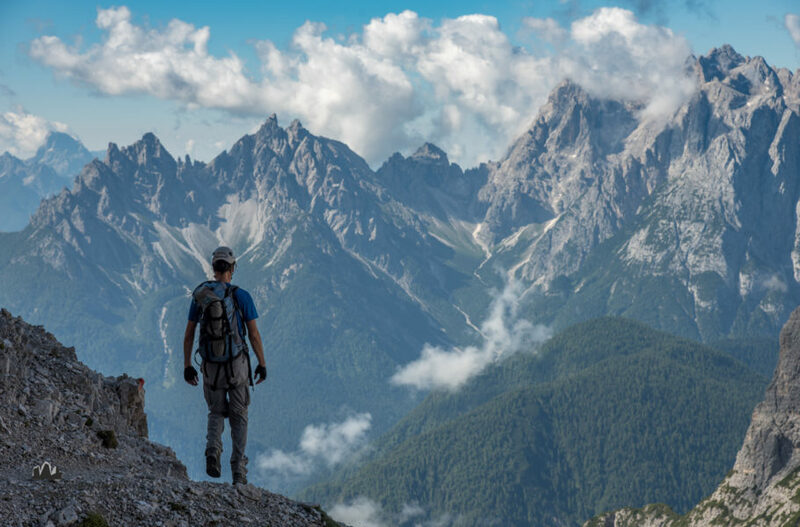 The mountains are our passion. 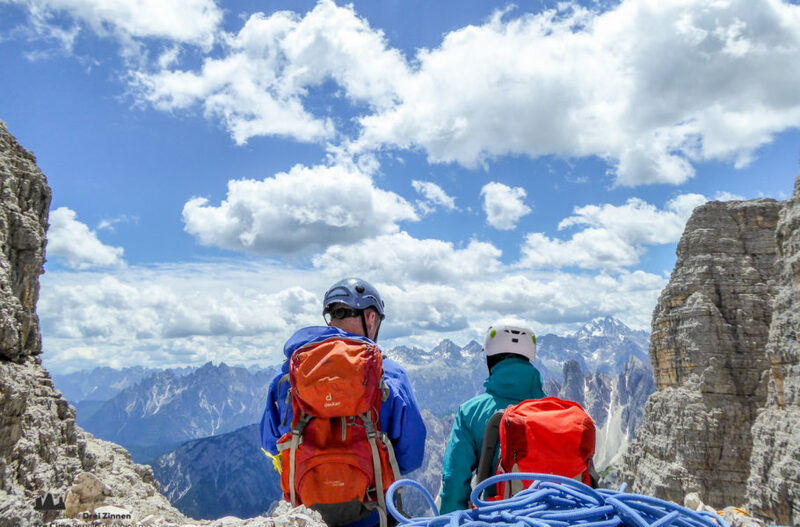 Your group experience in the Dolomites. 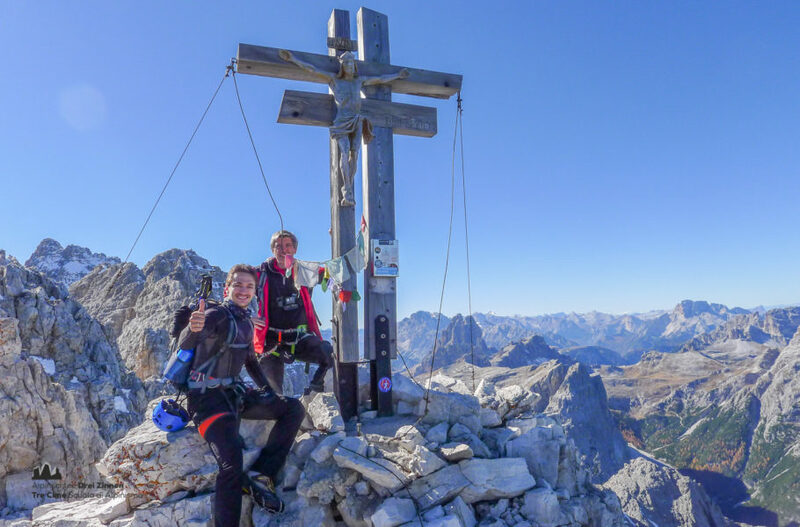 Exploring the UNESCO world heritage on foot. 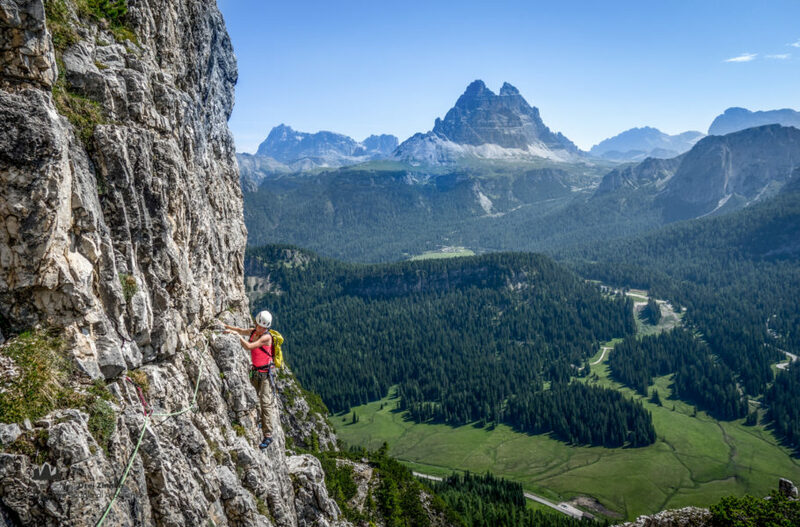 Dibona Ridge - one of the biggest classic Alpine climbs in the Dolomites. 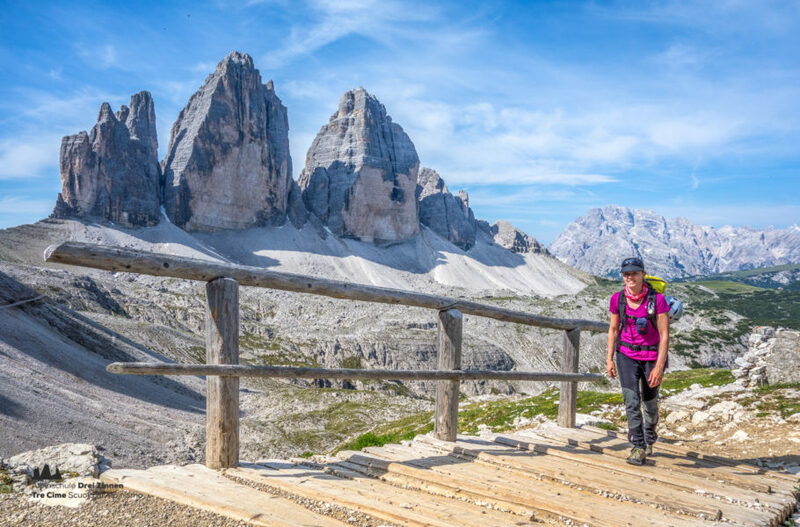 One of the most iconic and spectacular routes in the Tre Cime. The Comici - one of the most well-known tours in the world! The main mountain of the Sesto sundial. 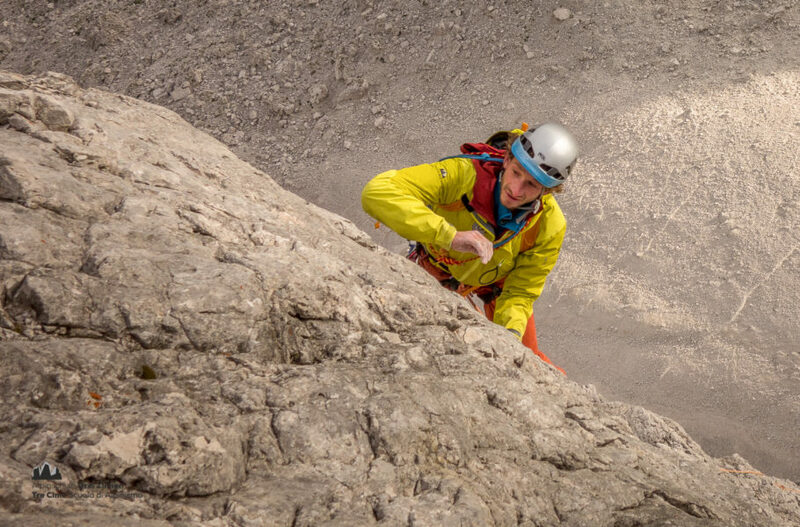 An absolute must do for every ambitious alpinist. 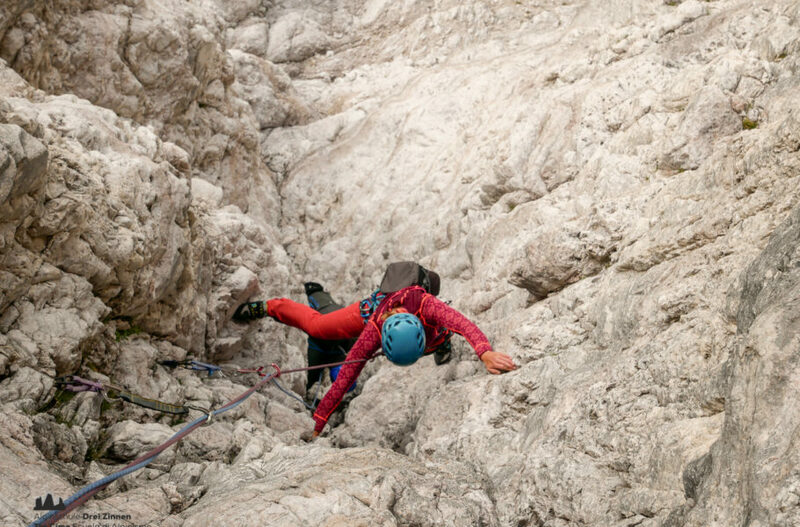 The easiest route in the north faces of the Three Peaks. 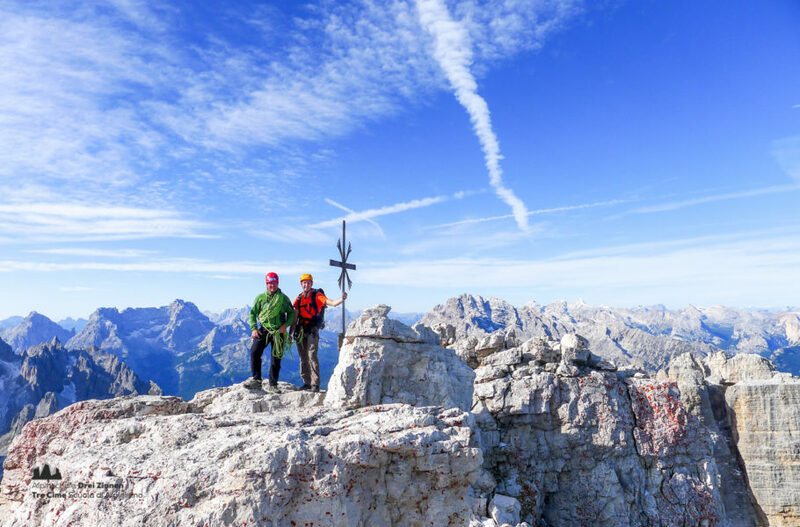 Arête on top of the Torre Preuß in front of Cima Piccola - pretty special. 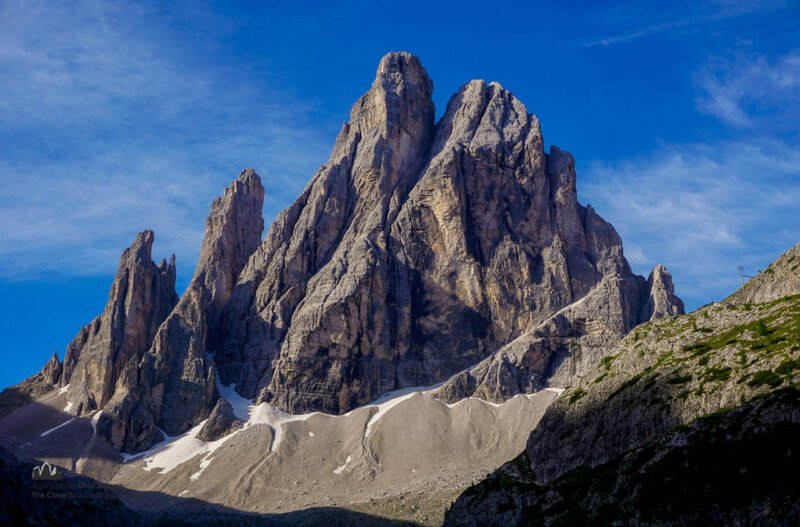 The Tre Scarperi is the local mountain of Sesto. A very beautiful, fameless insider tip worth trying out. 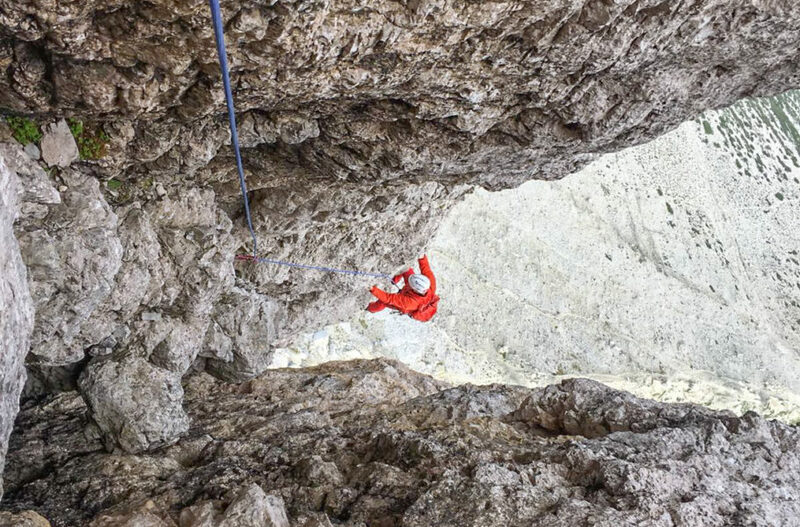 Ideal route in the lower range of difficulty in the Cadini Group. 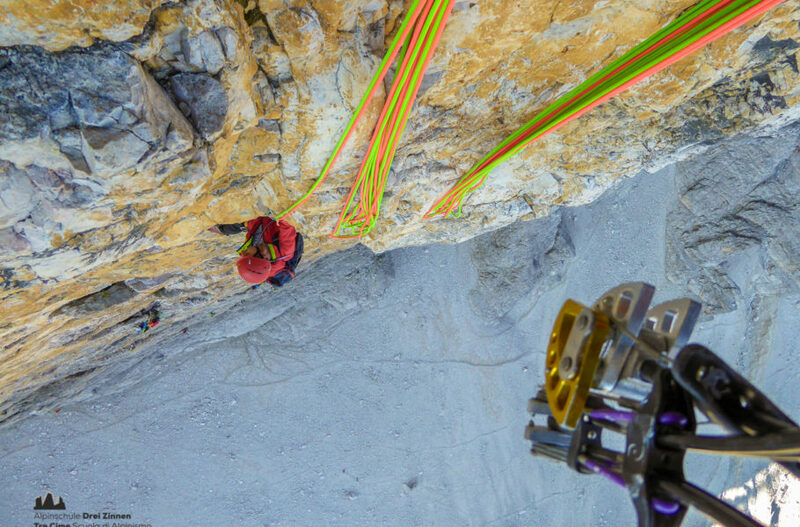 Interesting route through the sunny east face of Popena Basso. 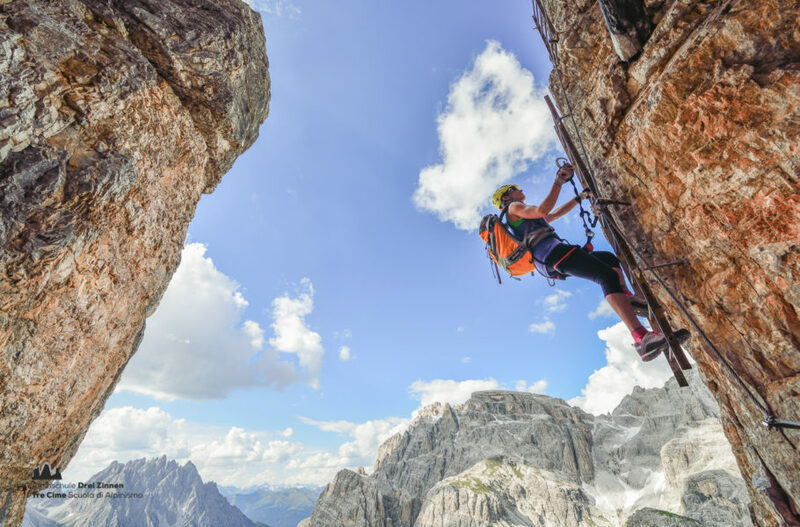 One of the major classic climbs of the Dolomiti Ampezzani. 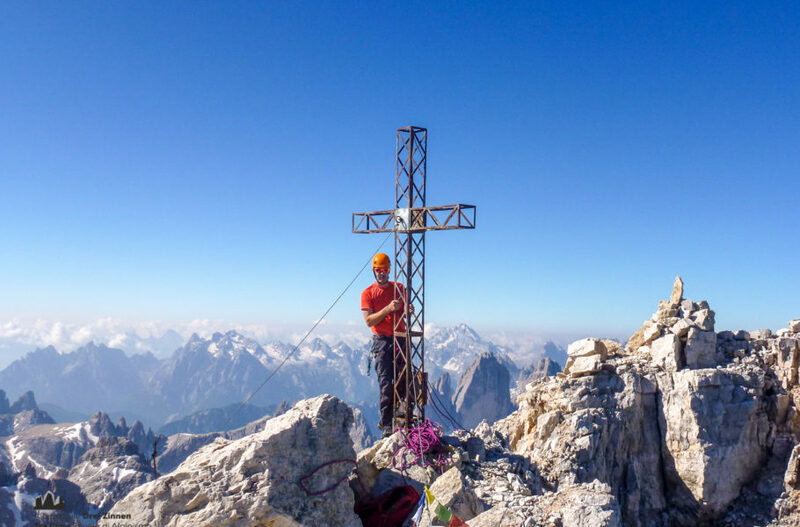 One of the most classic and historically important via ferrata in the Dolomiti di Sesto. 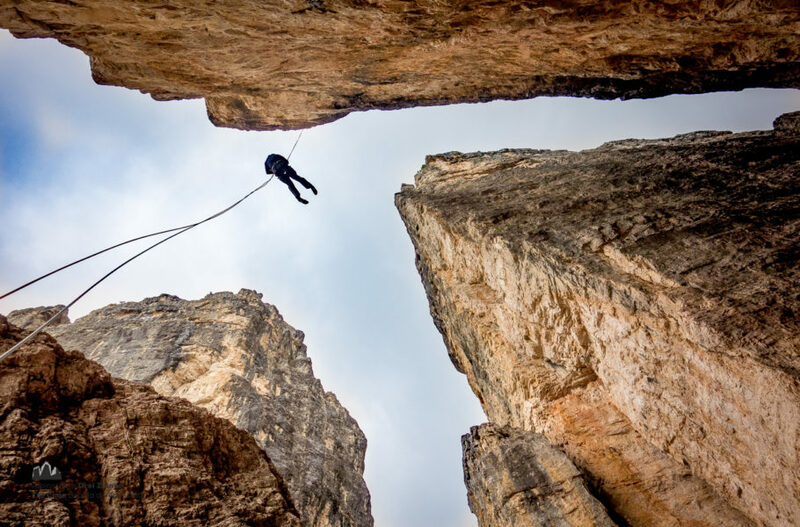 Short access, sunsided and interesting climbing. 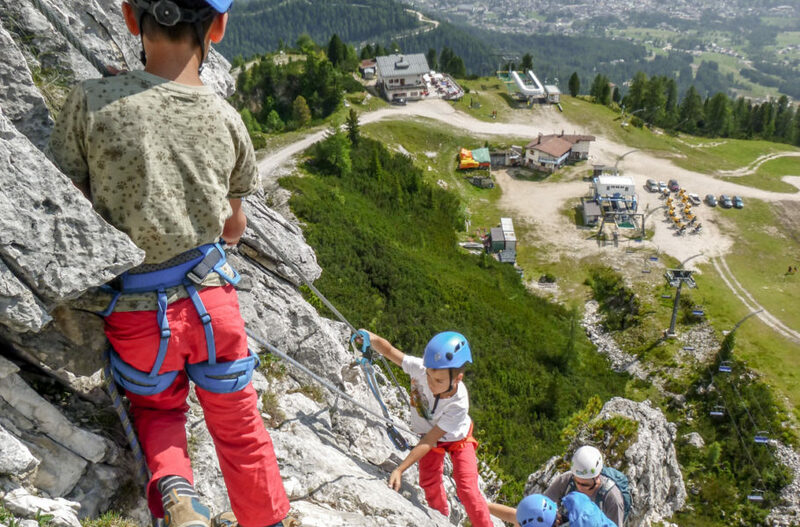 A wonderful, sporty via ferrata along a ridge with a wonderful panoramic view. Elegant line, solid rock and south facing position. 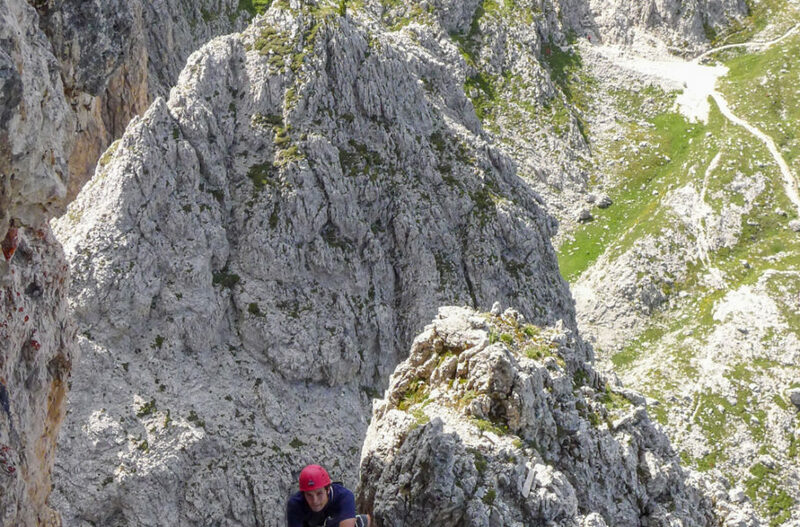 A wonderful via ferrata that unfortunately has a long access. 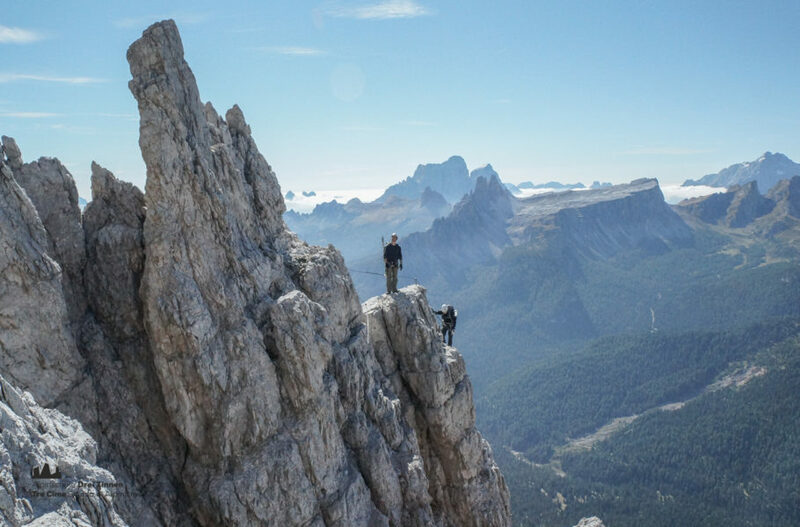 The most iconic via ferrata in front of the Tre Cime. 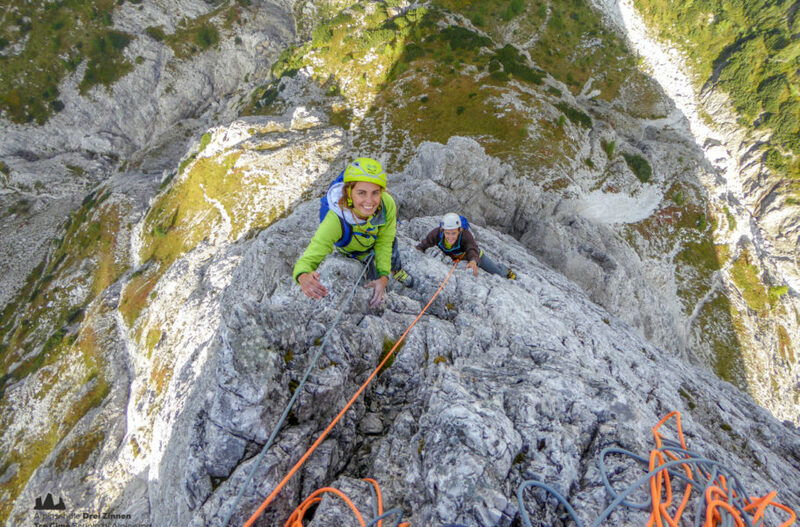 A challenging via ferrata along a wonderful ridge. 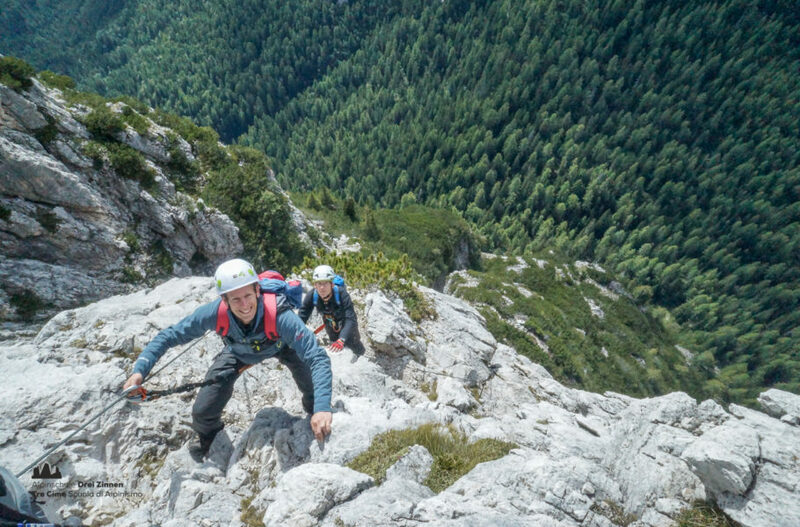 A technically easy via ferrata along the tracks of WW1. 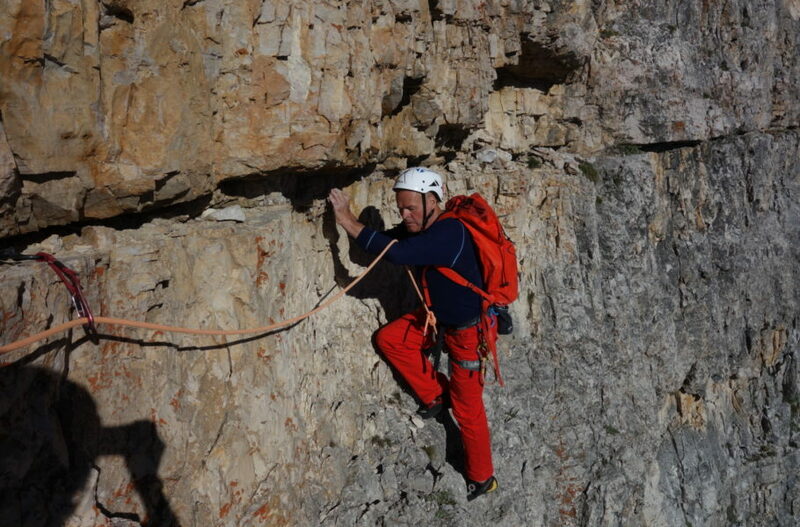 A short but steep via ferrata along lots of ladders of WW1. 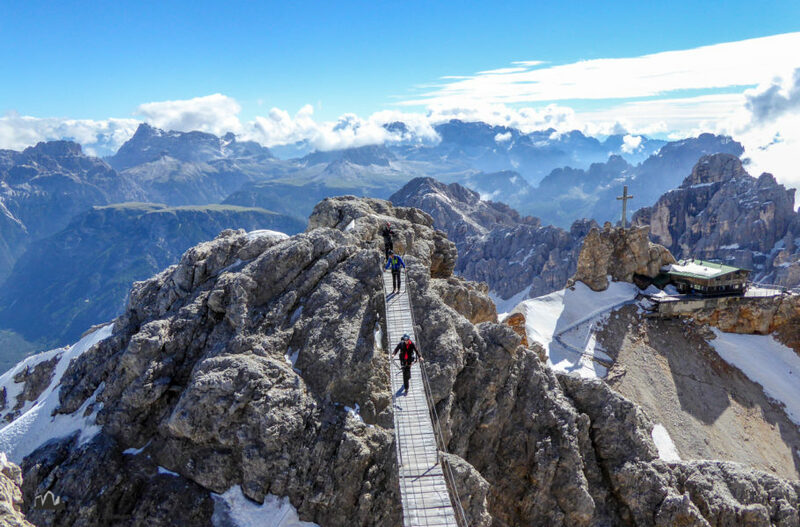 These two challenging via ferratas form a direct connection between the Rifugio Berti and Rifugio Carducci. 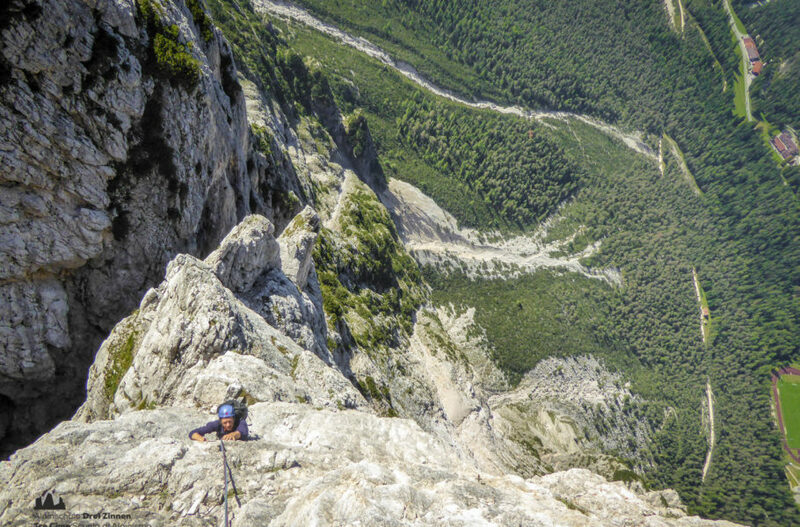 Via ferrata with tricky individual sections up to the top of an impressive mountain above 3,000 m.
This beautiful via ferrata through the south face of Col Rosà offers several tricky sections and exposed passages. 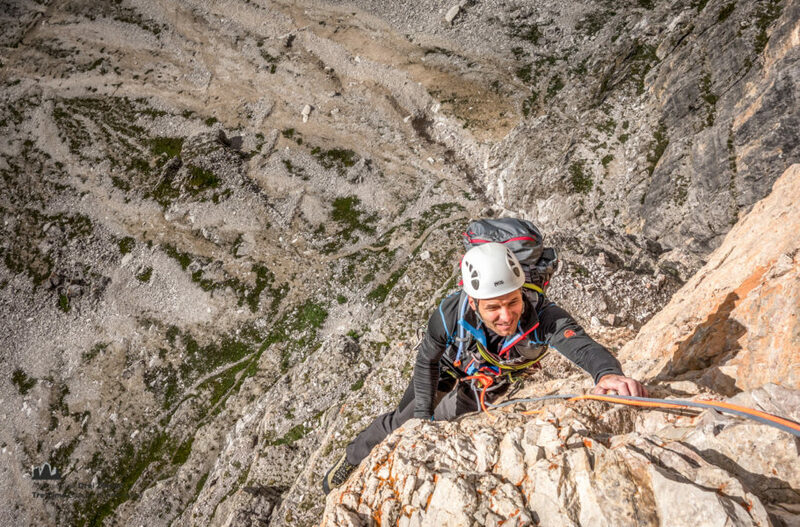 Steep rocktowers with fantastic view and short approaches. 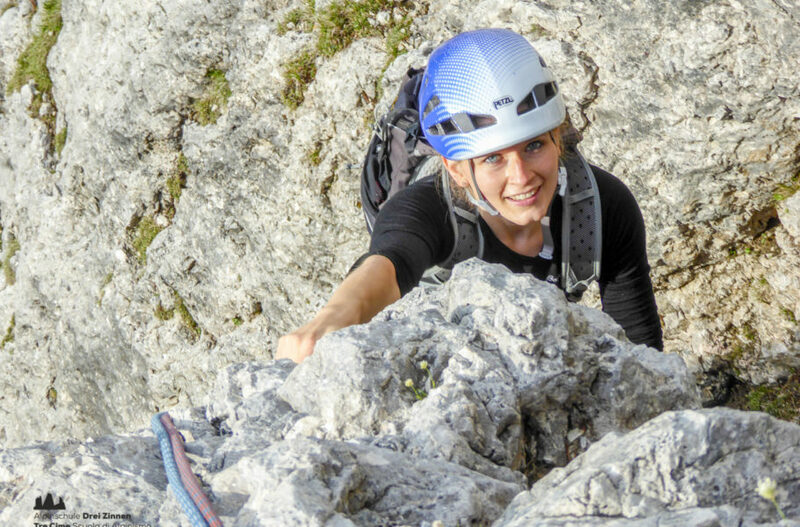 Perfekt if you want to get a tast of Alpine climbing. 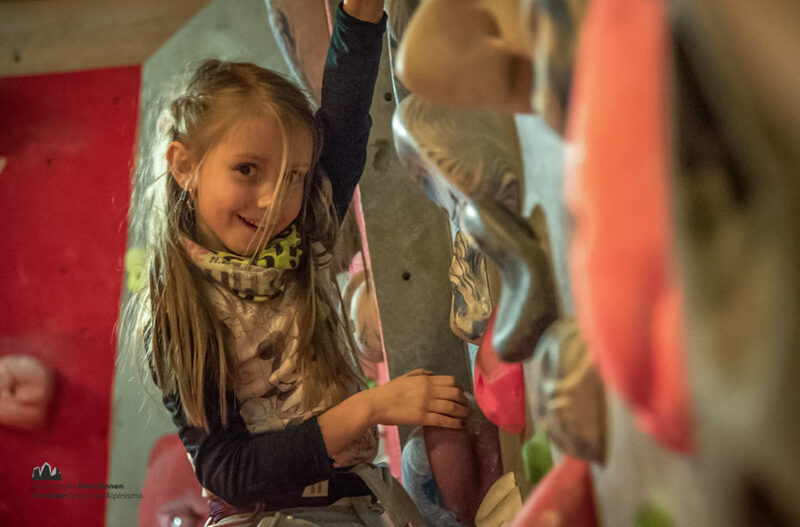 Fun on indoor climing walls! 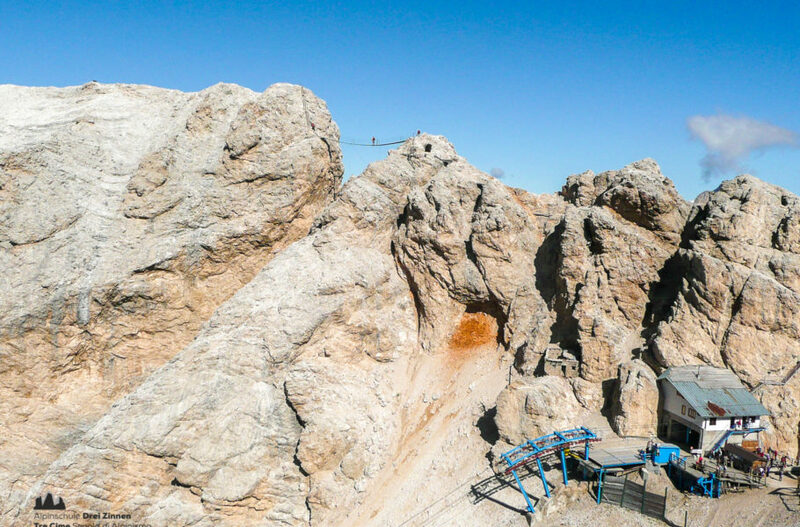 Date: summer: Friday 4 - 6 p.m.
winter: Tuesday 4 - 6 p.m.
We will spend an exiting day on the rock in direct contact with nature. 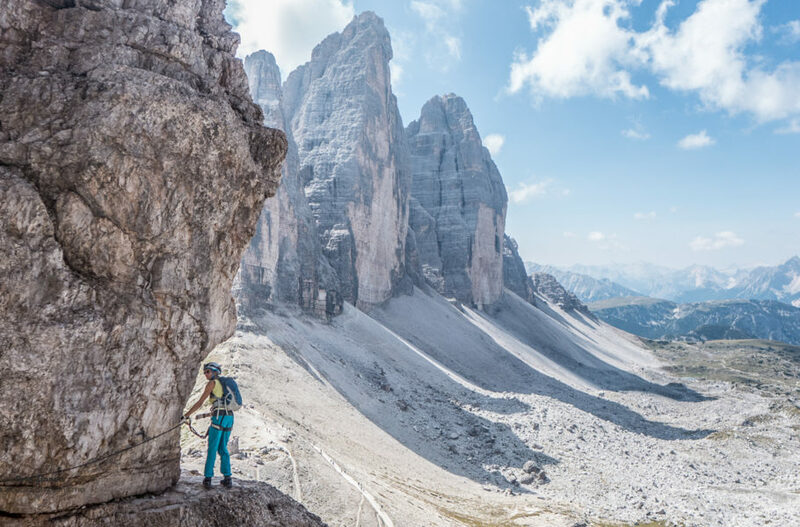 Classic via ferratas in the Dolomites of Sesto. 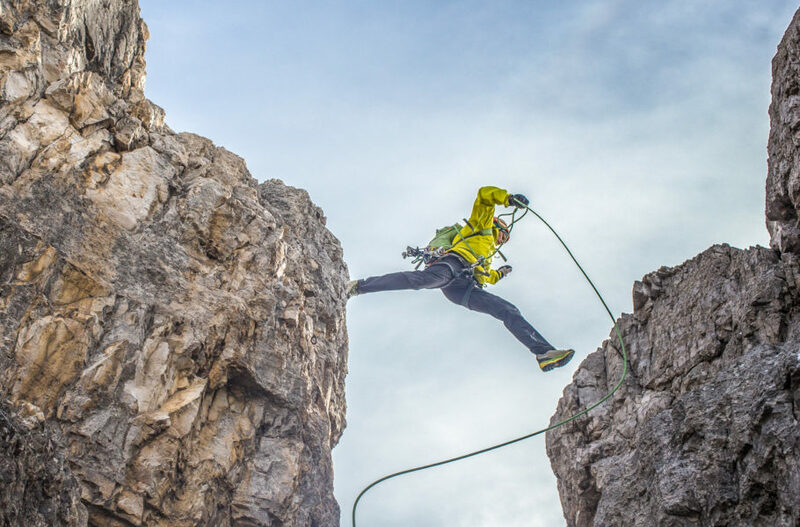 Pure via ferrata adventure. 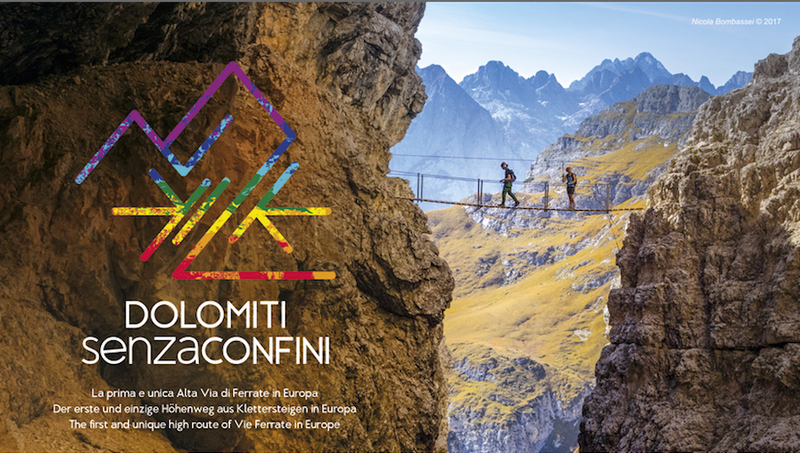 A special via ferrata connecting 2 states and 3 provinces. 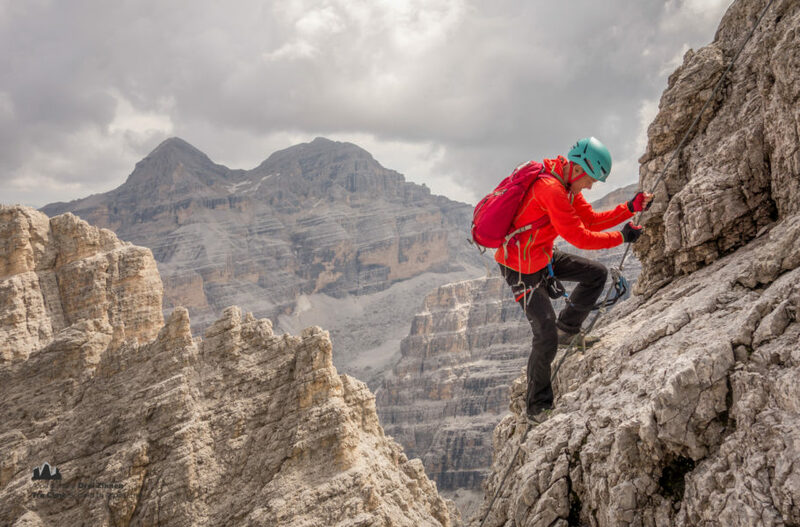 Climb with us the most astonishing routes in the Three Peaks. 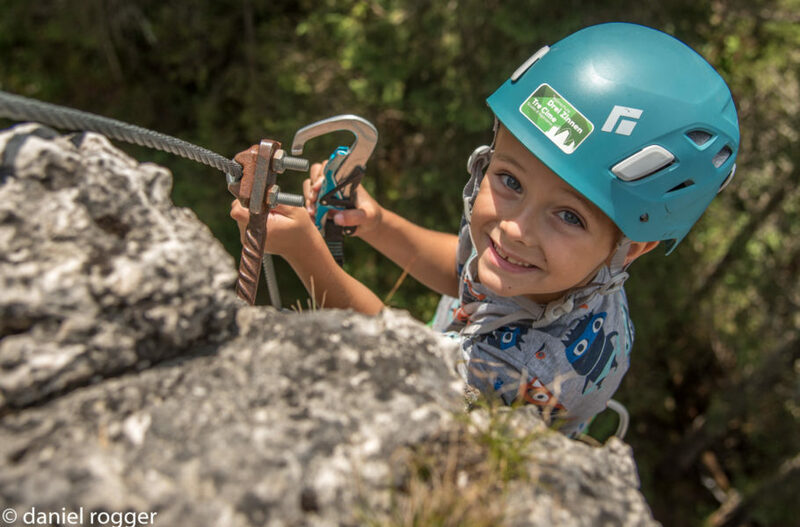 Simple but fun via ferrata especially suitable for families and beginners. 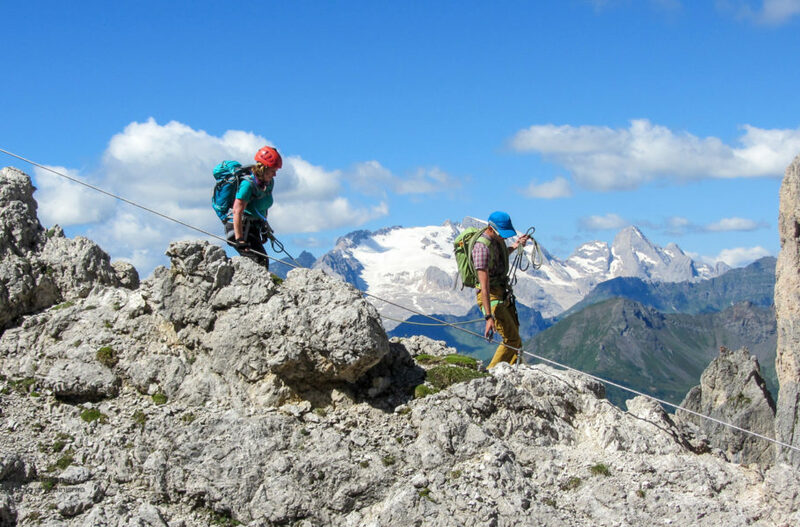 Specatacular via ferrata that combines a wonderful view and technical climbing passages. 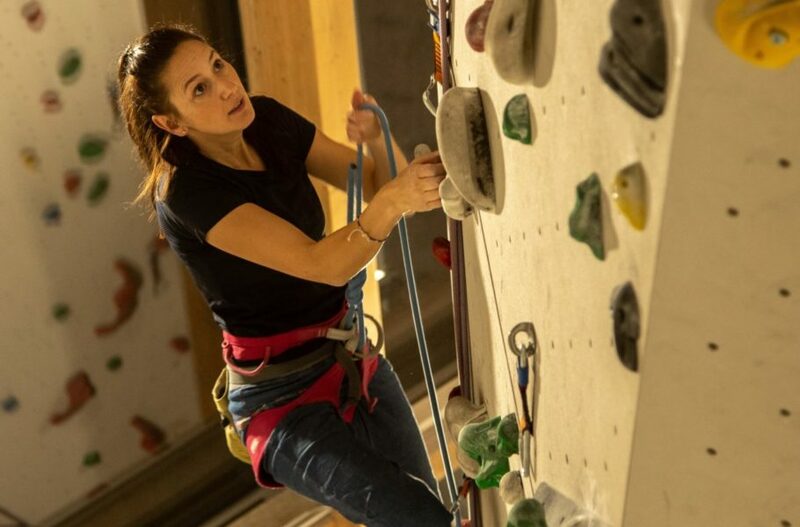 Indoor climbing lessons for beginners, advanced and experts! 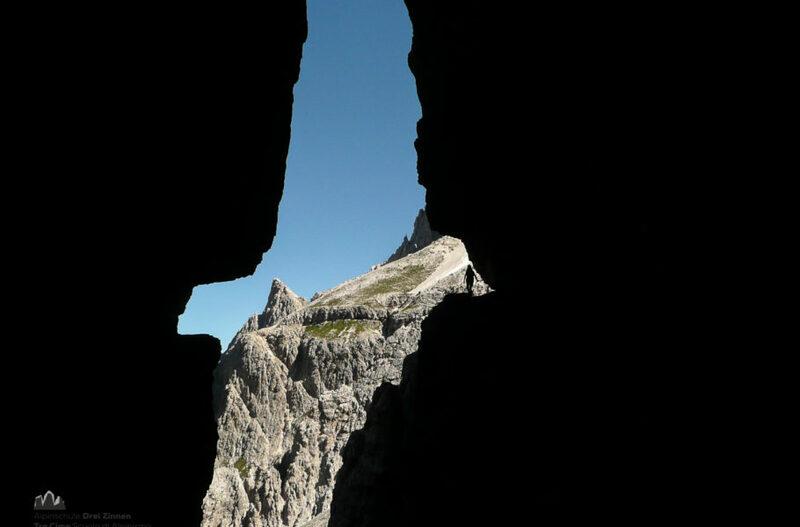 Come and join us to discover the most spectacular places of the Eastern Dolomites. Are you looking for a great gift idea? Our tour vouchers will delight the recipient!